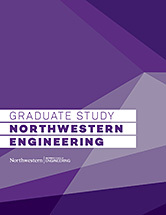 All MPM seminar series events are held in the Civil and Environmental Engineering Conference Room (A230) in the Tech Building (2145 Sheridan Road, Evanston). Refreshments are served from 2:30-3:00 p.m. and all lectures go from 3:00-4:00 p.m. The seminars are open to the public. Future lectures will be posted as soon as they are scheduled.